I joined an art therapy group at my local cancer support centre during my cancer treatment. One of the exercises we undertook in class was to create a mask. It was an interesting exercise, prompting us to examine the masks we wear, the ones which hide our true identity. Many of us wear a social mask, although we weren’t born like this. Growing up, we may have created an image of ourselves that is different from the person we believe we are. We may have felt for whatever reason that we had to hide our true selves behind a mask and we fear being found out, fear having the mask removed and our true selves exposed. Hiding behind a mask makes the risk of exposure less frightening. Over time however, maintaining this façade can become a burden. We may lose our ability to be spontaneous and enjoy the moment, it may limit us in what we can achieve, we may become too dependent on the opinions of others, and keeping up appearances at all costs. 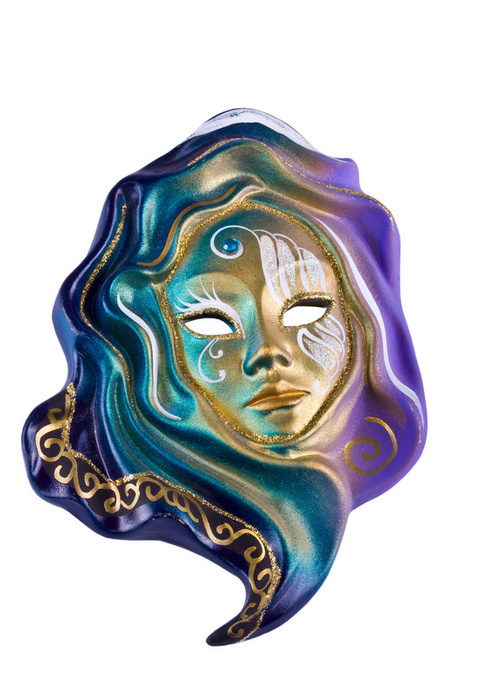 Some of us may wear more than one mask to reflect our different roles in life, and this in itself can become exhausting. I have observed that for many people, a diagnosis of cancer has been the prompt they need to take off their social masks, and be who they really are. They come to a realisation that life is too precious to hide or limit our true selves. Did you find this was true for you? Did an illness or significant life event prompt you to examine the mask(s) you wear? Did you take off your social mask? How did that feel? And in the end, did you put back on your mask, or perhaps a new mask? Or did you see this as an opportunity to stop wearing your mask for good? Did you perhaps decide that life is too precious to waste pretending to be someone or something you are not? I don’t remember having ever put on a mask for anything in my life (if it doesn’t feel natural, it cannot be good) but only last week I was told by my Spanish female friends in Ireland that I cannot find a good man because I scare them off. Should I start wearing one in order to become more likeable? But then, wouldn’t I have to keep it on for the rest of my life (or his)? Now, that’s some burden!!! It also scares me to death that the people I’ve known all my life have probably just been wearing one of them masks around me all the time. I definitely feel that my cancer removed my mask for me. I an remembering the post Jody wrote about Thomas Moore and something about showing our inner selves during illness, showing people our souls striped of all the facades. And it made me realize that once your soul is exposed like that it can frighten other people. They see a true-ness in you and a vulnerability they never saw and perhaps are afraid to see. I think they can be afraid because they realize how vulnerable we all really are and that maybe their true soul will be exposed. This is a scary prospect for people wearing a mask. I did not remove my mask by choice, cancer did it, and in many ways I’m not sure I was very aware of the mask I wore. But now I am, and part of the struggle since cancer has been “Who am I?” I have felt lost and confused. I am trying to find my way, to see who I truly am. I think this is probably a gift and not a curse, but when in the midst of the struggle it is hard to tell. I am rambling now but trying to get across that cancer exposed me and by doing so has changed me. Now it is time for me to take back my life and decide who I am. Thank you so much for your wonderful and thought provoking replies – as always you have enriched my blog with your words. Thanks Annemiekeh and Chari for your perspectives outside of cancer. Chari, knowing you, and how true to yourself you are, I am not surprised to learn you don’t wear a mask – and this is to your credit! It is next to impossible to keep up a facade in an intimate relationship over time, so even if you did wear a mask and disguise who you are, that mask would slip over time, and where would you be then?! Someone will fall in love with you, for who you are, and they will have found a gem – a person who is real and authentic. Not everyone has the courage to be that person! Finally Debbie, as always your words speak right to my heart! Cancer allowed me to take off the mask, or rather the masks, plural, I wear, but like you, discovering who is the person beneath those masks is a harder task than I imagined. I guess after a life time of mask wearing, it takes a bit longer to peel off those layers. So you see, Chari and Annemiekeh, you are the wise ones among us all! Hey! I love the poem & current blog post! Your words ring true for me. It is something that I have fully come to realize in my 40’s. I think that w/ age the mask tends to come off also. There is an awakening that comes w/ age & with illness. Priorities & perspectives change. I have a daughter with medical & neurological challenges. Her issues are more invisible than visible, so I have had to readjust my way of thinking. Swimming outside the “main stream” makes one do that. What is socially expected can cause great stress in trying to live up to it, especially when it is not your reality. It is both humbling & liberating to realize that it is so not necessary. In our lives, what nourishes the soul best is just to be who you are, be the best you can be & count your blessings. Thank you so much for sharing, for inspiring & for provoking great thinking. Hope you have a beautiful day! I am passing this thought provoking piece on to my husband who runs our LiveStrong Cancer Support Group. He and I have been discussing the difficulty some have been having in clinging to a mask for the sake of friends loved ones…and how much harder this is actually making life for everyone. Where is the line between a mask behind which you hide and one which protects you or others? Or are all masks inherently bad? BTW..is the picture the mask you created? It’s gorgeous! Hi Kate and Marcia, I really love your comments. Marcia you also point to something which is an expansion of a theme I have written about before…the “pressure” to wear a certain mask, be a certain way when we are diagnosed with cancer..to be that way for others! Thank you both so much for enriching this post with your comments today.